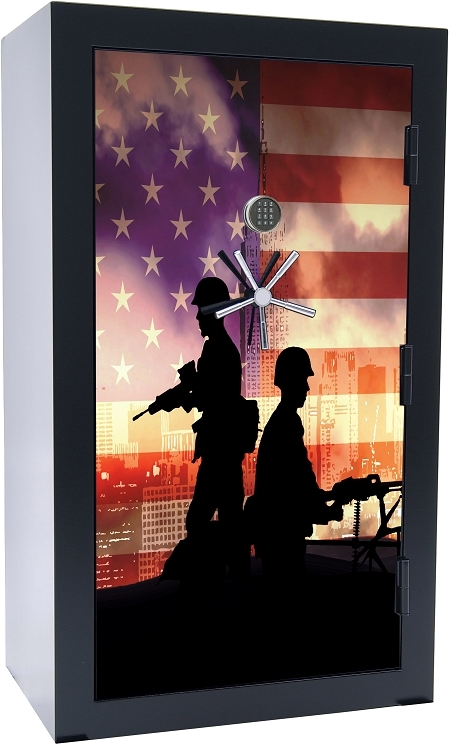 As for Premium Heavy-Duty Gun Safes, the 1st Class Steel built Old Glory Series #2 45 Gun 2-Hour Fire Gun Safe is a great choice for Gun Storage and Fire Protection. 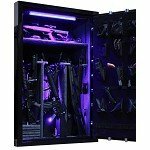 This Gun Safe by the Old Glory Safe Company is made of 100% Premium Materials including cold rolled steel and continuously welded uni-body construction for superior theft deterrence and long lasting durability. The Old Glory Series #2 45 Gun 2-Hour Fire Gun Safe has special locking features with top security in mind, to give you a gun safe to be usable and secure for your daily gun safe needs.